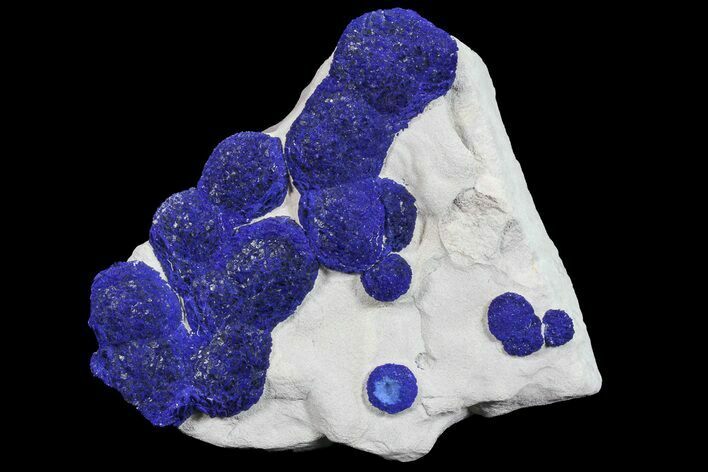 These are seferal brilliant blue azurite suns on a kaolinitic siltstone/sandstone matrix. 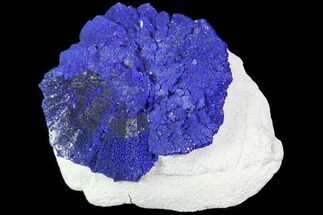 They were collected from the Malbunka Copper Mine in the Northern Territory of Australia. 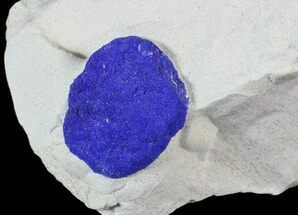 Azurite is a deep blue copper-based mineral produced by the oxidation of copper ore deposits. 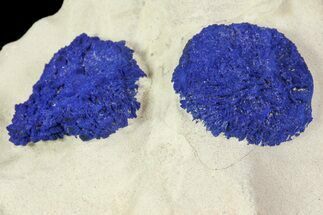 Azurite suns are a unique formation of this mineral only found in a single mine, the Malbunka Copper Mine in Australia. 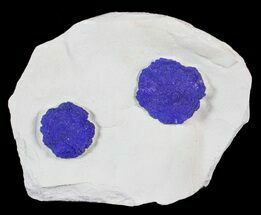 These suns form between layers of a clay mineral called kaolinite (the white matrix the suns are on). They are thought to have been formed by hydrothermal fluids carrying copper ions through the bedding planes in the rock formation. 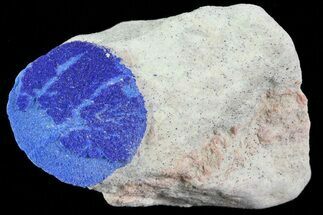 Carbonate molecules and copper ions in the groundwater nucleated around mineral grains in the kaolinite, which resulted in crystallization of the azurite. 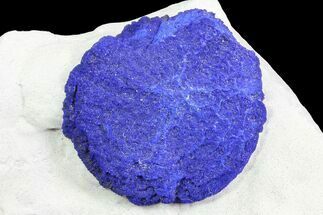 Because the azurite was forced to grow in a laterally-compressed and radiating manner along preferred bedding planes, the azurite grew uniformly outward, often producing circular shapes.